You are here: Home / Special offers / Season of useful presents! Enjoy the special offer by AIRBUNKER till April 30! Get special presents when placing order on the HARD SPORT sets! 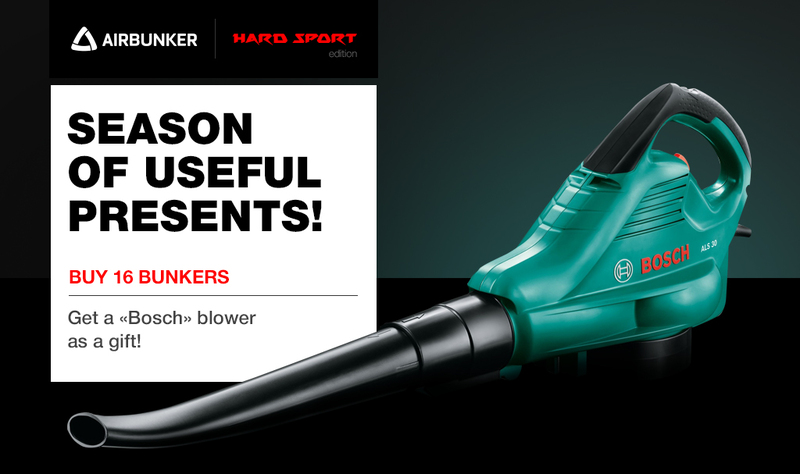 Buying 30+ inflatable bunkers – you get a Bosch blower and a decoration of each ordered inflatable bunker with your logo FOR FREE! 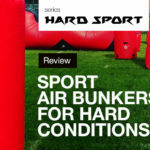 Fast Sport air-valve – inflate your bunkers twice faster! Branding the bunkers with your logo. Don’t miss the chance for HARD upgrade. Contact our managers using online chat or by pressing the “Call back” button.